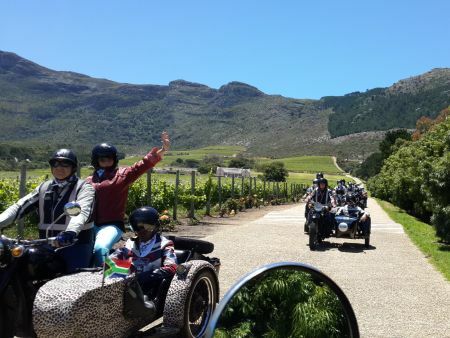 A private full day chauffer driven tour in a Chaffeaur driven World War II vintage sidecar to the best wine estates in Stellenbosch, Paarl and Franschhoek! The delightful drive winds its way to the heart of the Cape winelands, through superb mountain ranges, vineyards and Cape Dutch homesteads. 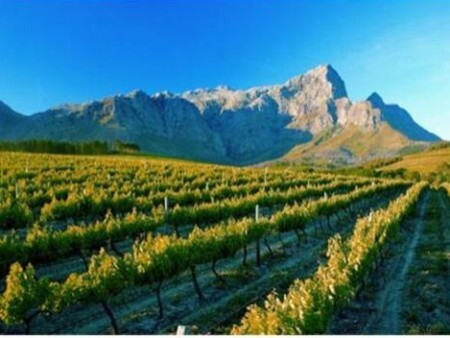 Depart from Cape Town and head out on a leisurely drive towards the historical town of Stellenbosch. 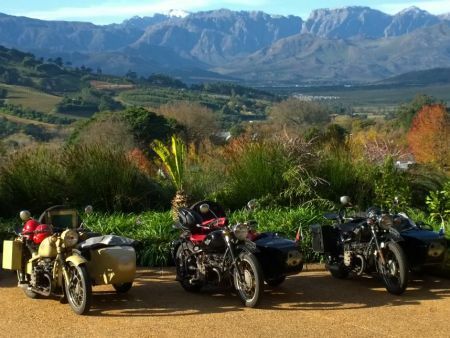 After a pleasant stroll through the town centre, all aboard your sidecar and head out over the Helshoogte Mountain pass for a wine tasting at Tokara Wine Estate which offers sweeping views across the valley. 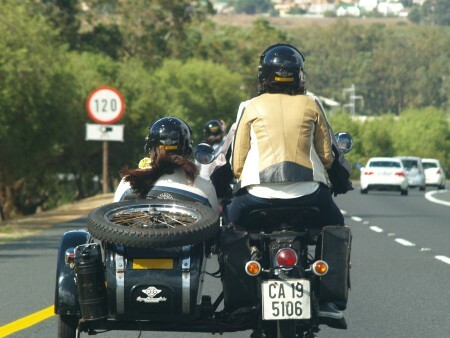 After the tastings, load up your wine purchases in the sidecar and continue along the windy Helshoogte Pass to Boschendal Wine Estate. 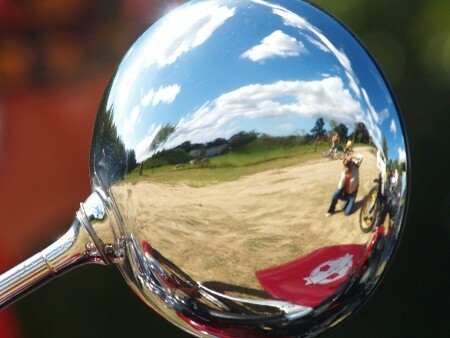 Here you will enjoy a cellar tour and wine tasting under the shady oak trees. 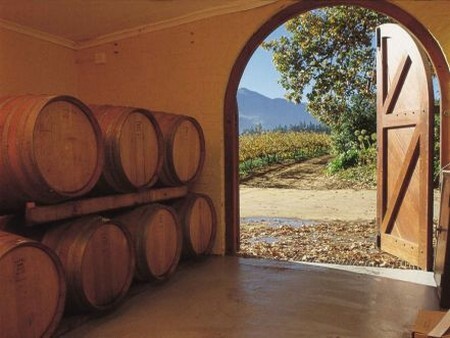 Proceed to the town of Franschoek, historically dating back to the 17th century when the French Huguenots arrived. Billed as the Gourmet Capital of South Africa, this charming town, in a most picturesque valley, retains a French Huguenot style. Franschoek complements the artistry of its chefs and winemakers with the breathtaking beauty of its setting. Here you will take some time to enjoy the fabled culinary skills of the chefs at one of the many award winning restaurants (not included in cost). 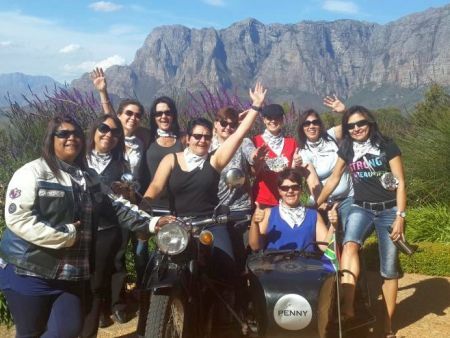 After lunch we continue towards Paarl to Backsberg Wine Estate where you will have time to enjoy a wine tasting, meander through the cellar and relax in the beautiful garden. 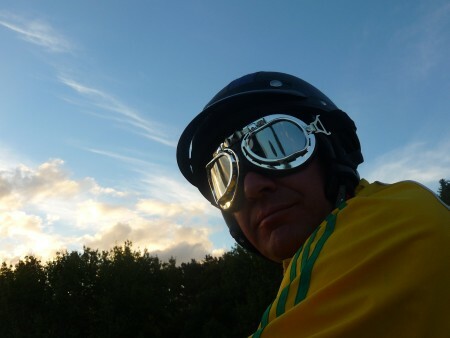 After the visit, it's back on the sidecar and a leisurely return to the city with Table Mountain bathed in afternoon sunlight.